For the eighth straight quarter, US productivity grew in Q1, rising 0.4% QoQ (improving on Q4's +0.3%). 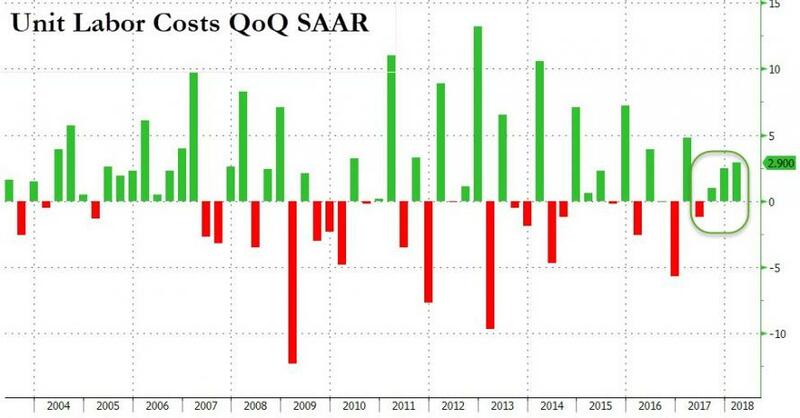 However, the Q1 gain was less than the +0.6% expectation (and well below the preliminary +0.7% level) as Unit Labor Costs accelerated more than expected. 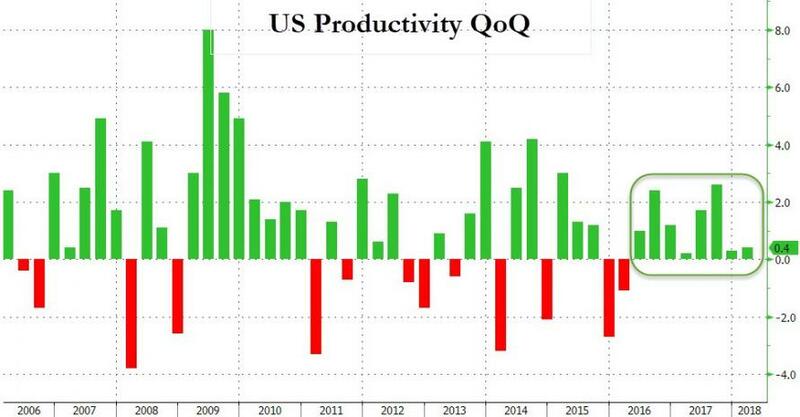 This is the equal longest streak of productivity gains since 2010 (which corresponded to the V-shaped bounce off the great financial crisis lows). However, real compensation declined for the 3rd straight quarter.